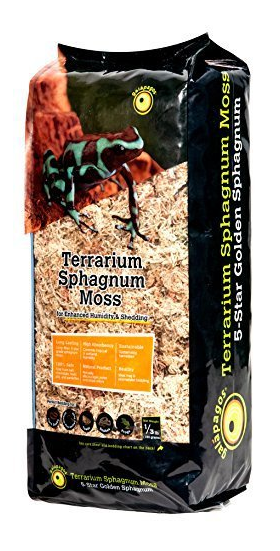 Galápagos’ 5-Star Golden Sphagnum is soft and fluffy golden moss that holds 20-times its dry weight in moisture. Its inherent fungicidal properties also help fight odors, fungal growth, and mite infestation in your terrarium. Use as a snake bedding or as a moist habitat for amphibians. 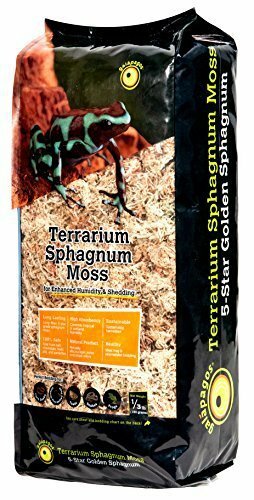 Completing any tropical or wetland terrarium with a thin layer of golden sphagnum moss will maintain humidity as well as aid with clean up!